Following the principles of quality, service, and price, Vuu Homes is well known for its building sensibility & construction of luxurious, high performance homes. 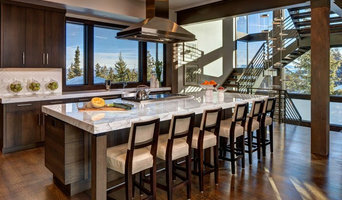 Utah's premier custom home builder. Whether it is a custom estate home or complex custom remodel, Magleby Construction is committed to produce it with peerless quality. It is who we are. Welcome to PrecisionCraft Construction, where we make sure its done right. Many general contractors are organizers only, hiring out all the work as sub-jobs to whomever is available. Louise Hill has been creating timeless and functional homes since opening her design firm in 2006. Effortless flow from space to space is at the core of her design strength. Heather Osmond is passionate about helping her clients create their dream home. Her goal is to help create a home that you and your family can feel comfortable in. Contact her today! Whether you desire our affordable and sturdy green home and green building methods, or more conventional techniques, Green Tech has a solution for you. Shadd Johnson Design LLC is dedicated to drafting a custom home design you’ll love. You can count on us to design any building, regardless of size. Our services are customized to meet your needs. 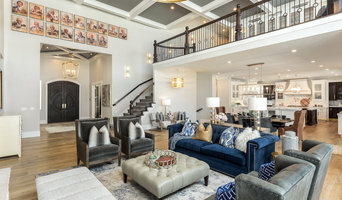 Hamilton Park Interiors was created from over 20 years of furniture and interior design experience to do one thing...help home owners "Create the home of their dreams!" This boutique firm, Greg Steffensen, Architect is situated at the base of the Wasatch Mountains in Sandy, Ut. Being a small firm allows it to offer a commitment to your individual luxury residential needs. We provide design oriented architecture and interior design. The one on one client experience will allow you to integrate your lifestyle expectations and design tastes. This personalized service aids in creating residences that are rich in diversity, design and sustainability. We are a modern design firm; minimalists at heart. Our mission is to enrich lives through the beauty of simplicity and the freedom of thoughtful space. Our goal is to promote the virtues of living consciously and authentically. We believe in quality over quantity, function over decoration, architecture over building, home over house. Our work helps people live abundantly and deliberately. Contemporary is a style, but modern is a mode of thinking and a way of being. New View Design LLC is a full service Interior Design studio in Utah County. Being the only design team that offers true Virtual Reality Walk-through's, we provide assurance to our clients that they are getting the design that they have always dreamed of. We provide assistance with everything from selecting materials and finishes to furnishings and decor for new build and remodeled interiors at our showroom in Spanish Fork, UT. 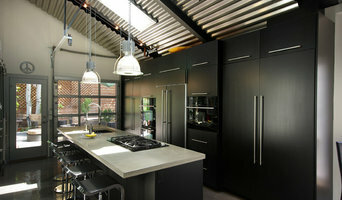 We have also worked in the Kitchen and Bath Industry for over 5 years. Our designers are educated and experienced, always keeping the client's goals top priority.